Nowadays, there is plenty of controversy about HTML5 and Flash going on in Web community. 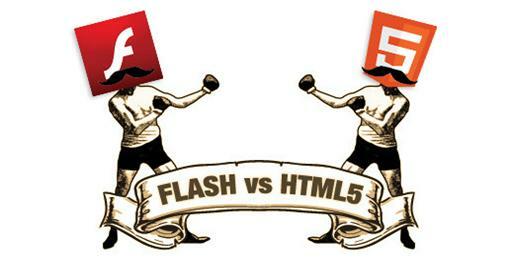 People, especially web developers and designers are taking too much consideration into the difference between HTML5 and Flash. They closely watch the web development trend. 70% of web games are made in Flash. HTML5 is a language for structuring and presenting content for the World Wide Web. It is a core technology of the Internet and was originally proposed by Opera Software. 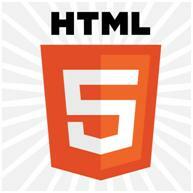 HTML5 is the fifth revision of the HTML standard and is still under development. 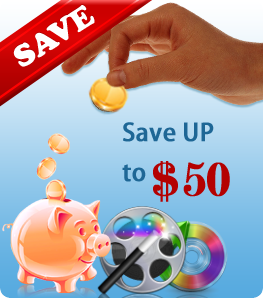 The core aims of HTML5 have been to improve the language with support for the latest multimedia. And keeping it easily readable by humans and consistently understood by computers and devices. In particular, HTML5 introduces a number of new elements and attributes that reflect typical usage on modern websites. These elements include the <video>, <audio>, <header> and <canvas> elements as well as the integration of SVG content that replaces the uses of generic <object> tags. These features are designed to make it easy to include and handle multimedia and graphical content on the web without having to resort to proprietary plugins and APIs. Other new elements, such as <section>, <article>, <header> and <nav> are designed to enrich the semantic content of documents. HTML5 continues to grow and gain adoption across the web. In advance, many marketers have discovered the advantage of HTML5 to extend video to a wide range of platforms. According to TechCrunch, nearly two-thirds of web videos are already encoded for HTML5. According to a report released on 30 September 2011, 34 of the world’s top 100 Web sites were using HTML5 – the adaptation led by search engines and social networks. As of March 2011 versions of browsers such as Internet Explorer, Mozilla Firefox, Opera, Google Chrome, and Apple Safari implement HTML5 to a large degree. Apart from this, HTML5 is now universally supported on major mobile devices. This makes HTML5 the best solution for creating and deploying content in the browser across mobile platforms. While Adobe programmers will be able to use their same Adobe software development tools, the end-product is clearly going to be HTML5 video. 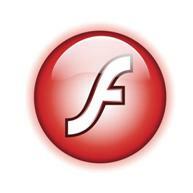 HTML5 can sometimes be used as an alternative to Adobe Flash. Both include features for playing audio and video within web pages. Using integrated SVG and vector graphics are possible with both HTML5 and Flash. Adobe is also putting its future mobile video efforts behind HTML5. Used by almost every PC user. Supports the creation of simple to complex animation. All of these are open standards, no more relying on any plug-in and third party program like Flash does. Can be used by most browsers without updating anything. Will enable web designers to use cleaner and neater code. Designers can remove most div tags and replace them with semantic HTML 5 elements. Could be the solution to faster applications which will be accessible universally across all mobile phones. All in all, it is not certain whether Flash will be replaced by HTML5 or not, because Flash was, and is still hot in an era where PCs are common household items. Flash sure has found its place. But it is definitely that other technologies like HTML5 will be on par with it in the years to come. HTML5 is being set up with the expectations as a very powerful markup language and it's up to us to utilize it in a way that can benefit us all.